BLT Pasta Salad is a potluck favorite, and loaded with delicious flavors. 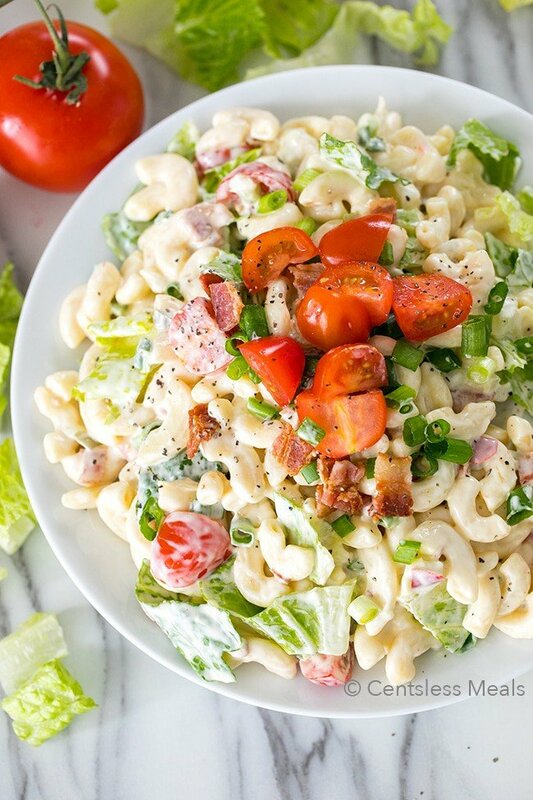 Tender pasta is tossed with crisp salty bacon, ripe juicy tomatoes and crunchy romaine for a pasta salad your family is going to love! 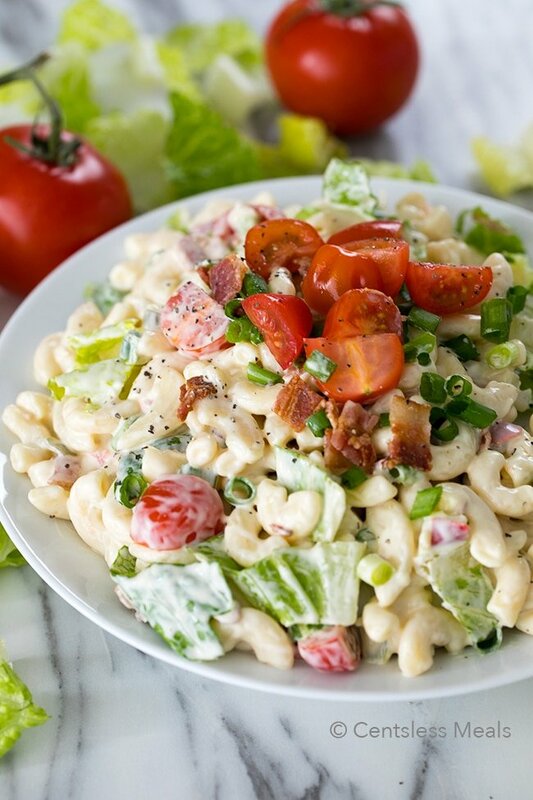 Pasta Salad is one of my go to summer side dishes! 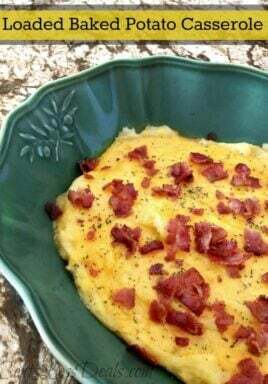 It’s quick, easy and can be prepared ahead of time and it’s a dish everyone seems to love! There is just something so good about the flavors in a traditional BLT sandwich. 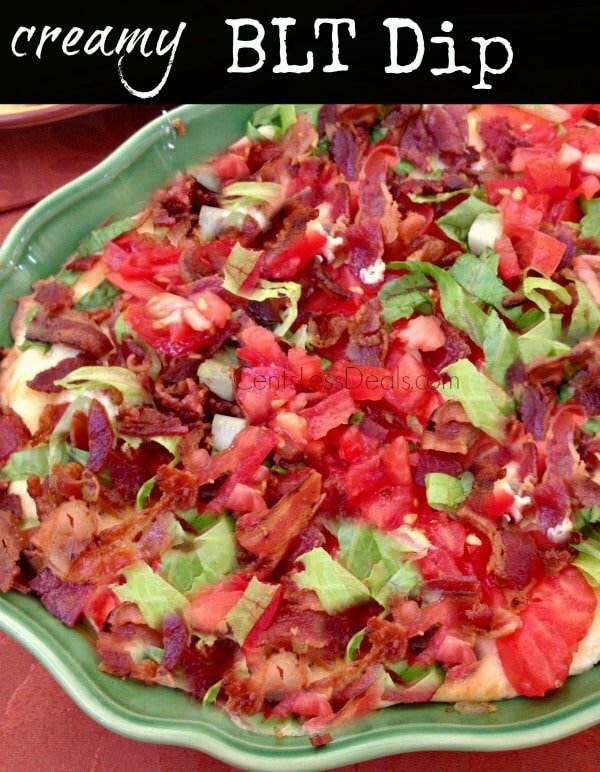 Layers of toasted sourdough, creamy mayonnaise, crisp smoky bacon and juicy ripe tomatoes. 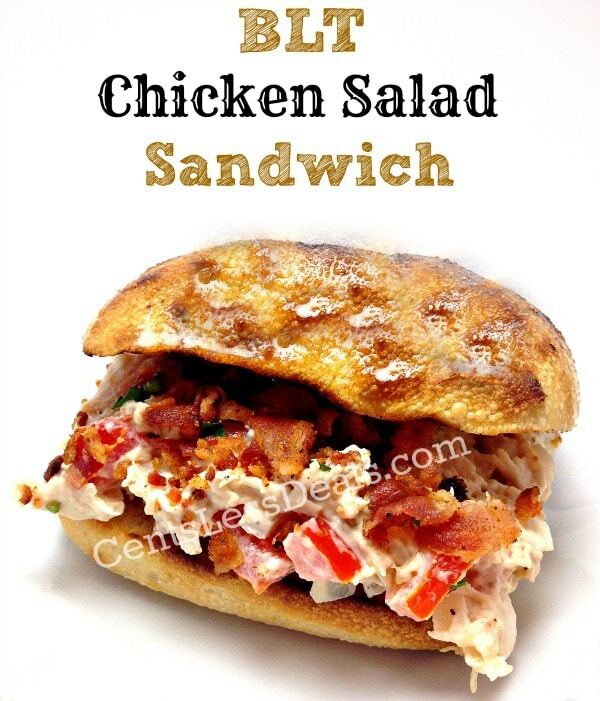 It’s one of our favorite sandwiches for any meal of the day! I’ve taken those classic sandwich flavors and married them in a quick and easy pasta salad recipe for the perfect potluck dish! 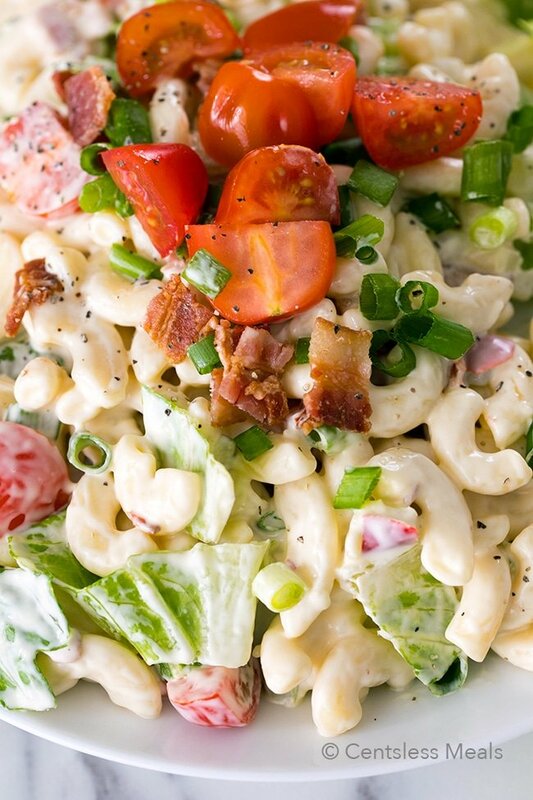 While it may seem unusual, this recipe does add the lettuce right into the macaroni salad. This adds a nice crunchy fresh texture and flavor. Although it can be prepared well ahead of time, we toss the lettuce into the salad right before serving. I prepare and mix all of the ingredients together and place the chopped lettuce in a separate container. Right before we eat I quickly toss the two together. I love romaine for the crunch it adds to the salad but you can most certainly sub in your favorite greens, fresh spinach is another delicious option! My daughter loves avocado so I often dice up an avocado (and toss it with a little bit of lemon juice) to add into the mix. Ranch adds great flavor to the dressing. If you don’t have ranch on hand, you can substitute Greek yogurt or sour cream and add in 1/2 teaspoon each onion powder, dill, parsley and a dash of salt. 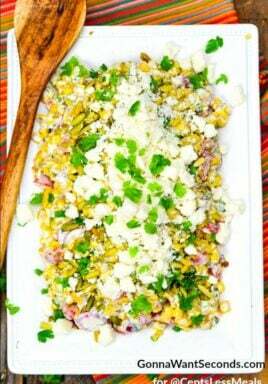 While this does make a great side dish, we often add chopped grilled chicken to turn it into a main dish. Perfect for a warm summer evening or to take for lunches to work! 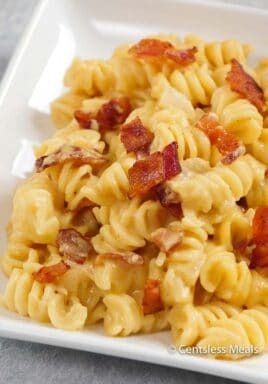 Cook macaroni noodles according to package directions and drain well. Combine dressing ingredients in a small bowl until mixed. Toss all ingredients in a large bowl until well mixed. Refrigerate 1 hour before serving.